This is not your typical list of must have photography apps — no Snapchat, Instagram, or Photoshop here. 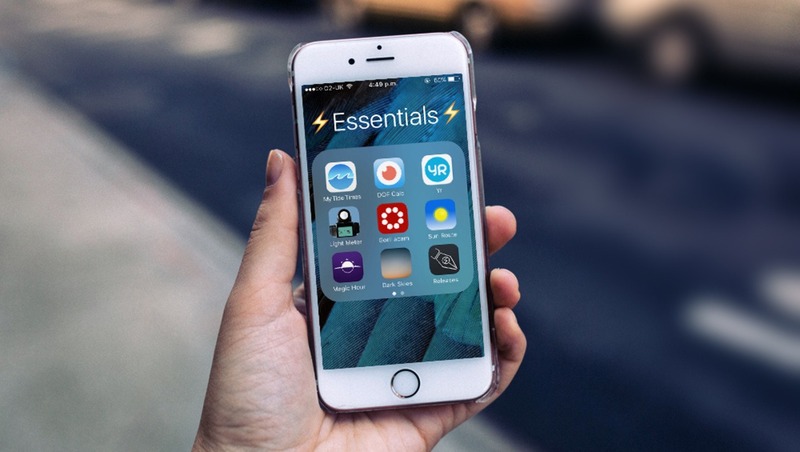 Although you might not have heard of many of the names I'm about to recommend to you, each one has earned its place on my phone because it plays a part in making my life as a photographer much easier. 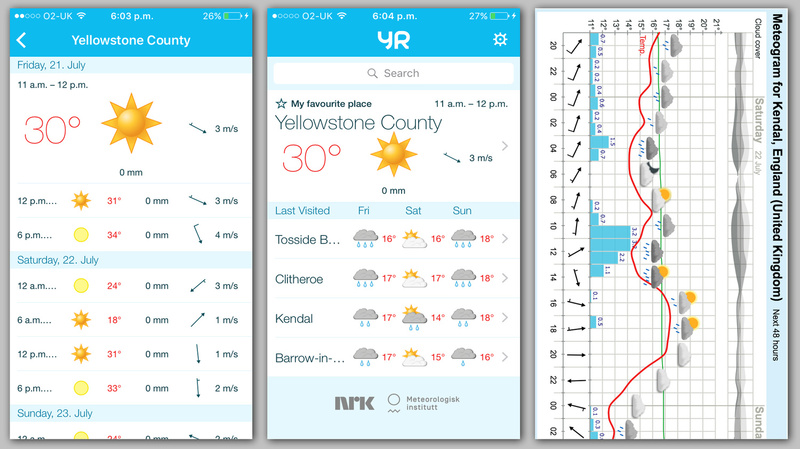 Yr is a weather app from the Norwegian Meteorological Institute and NRK. I have had many weather apps in my time, but this one is by far the most reliable I have ever used. This app once saved me from canceling an important shoot as it told me the rain would stop when all other weather channels said otherwise. The rain did stop, I avoided a catastrophe, and since that day I have never used anything else. Don't let the fact this app is Norwegian put you off as it's written in English and contains over 10 million locations from around the world. If you're out location scouting or are randomly shooting somewhere new, the GPS function will find the weather forecast for your nearest location which is much more accurate than typing in the name of the closest city. This app has never left the first page of my phone and is checked daily. If you do any kind of photography outdoors I highly recommend getting this one. As I always have my phone on me this means I always have a light meter with me too. Even in a digital age, I find that a huge advantage as I can quickly take a reading and instantly know what sort of ballpark I need to be shooting in before I have even opened my camera bag. I still quite regularly shoot film for my personal work and although I do own traditional light meters, the app performs equally as good for my needs and as a result means the rather bulky light meters can stay at home. 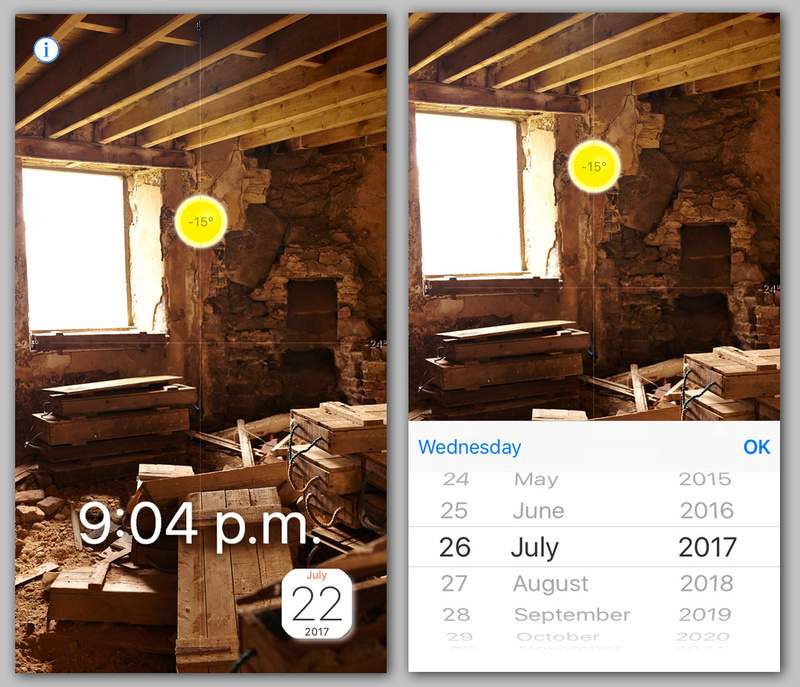 Another handy feature of this app is the ability to log light readings. This is particularly useful when location scouting as not only are the settings and the time of day captured but a picture of the place is attached to the file at the same time. 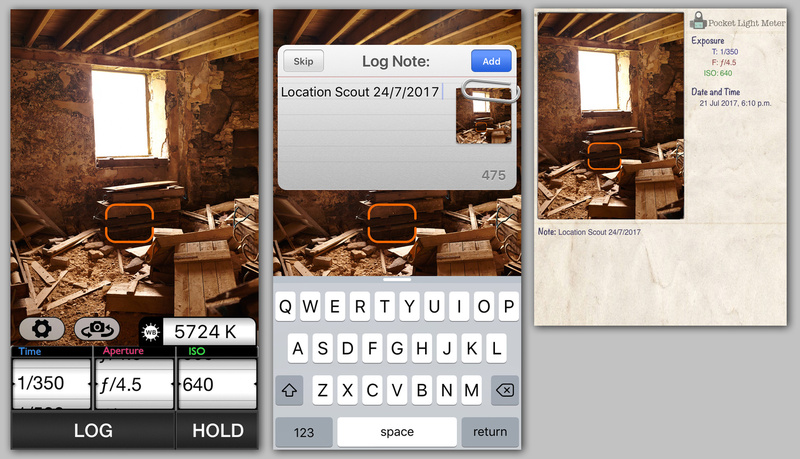 Logs can also be uploaded to Evernote which some might find helpful, as well as being stored in the camera roll of the phone. I could see a lot of wedding photographers using the log function to help document the various locations they may have to shoot at during a busy day. This one is a must for any professional photographer who regularly needs model or property release forms. I have the app on both my iPhone and iPad and although many prefer to use this kind of app on a larger screen I find it just as functional on a smaller phone. 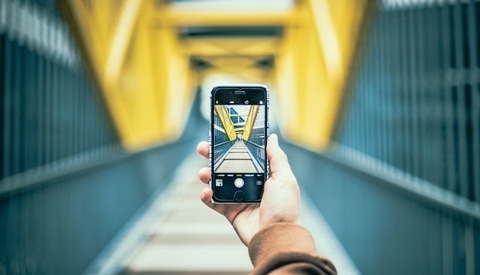 Unlike similar apps of this nature, Releases includes all the industry standard templates you would ever need, from Snapwire, ASMP, Getty Images, and Shutterstock. For this reason, I feel more confident using Releases over other apps that just produce generic release forms. 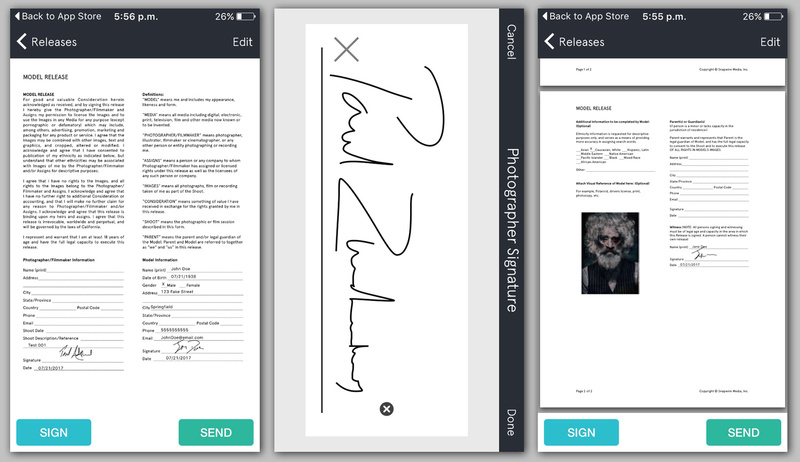 For those who have never used an app like this before, Releases generates a form for everyone involved on a shoot to electronically sign with their finger on the touch screen. 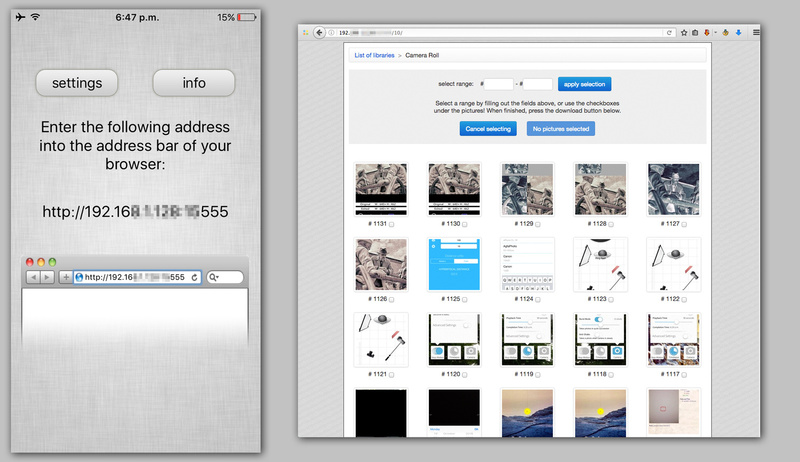 After that, a picture can be attached to the form for reference and then a PDF file is automatically sent out via email. The beauty of using an app over the traditional paper alternative is that things are less likely to get lost and additional copies can be easily produced. In addition to this, there may be times when you may find yourself in a spontaneous situation with your camera and getting a release form would be highly beneficial. As long as you have your phone getting then a release form is only a few clicks away. Sun Route will tell you where the sun will be at any specific time on any particular day. All you need to do is point the camera on your phone into the sky and the app will show you the sun's position. A computer-generated sun is superimposed onto the phone's view so you can actually see in real time how the light will interact with the current surroundings. I really love to use this app when location scouting as it stops me getting any nasty surprises on shoot day. This app has informed me the sun won't be where I want until a certain time of the day and as a result, I can plan things accordingly. I actually think many areas of photography would benefit from this app from the obvious landscape shooters to even real estate photographers. Find that perfect spot for a shoot but the sun isn't in the right place at sunset? You can fast forward a few weeks in the app and see when it will be. Can you imagine how much effort this would be to work out without technology? Leave your charts and celestial navigational instruments at home. GorillaCam by Joby is a camera app which has many features such as time-lapse, self-timer shots, and rapid-fire photo series. I have used this one for many years as I find it more useful than the phones native camera app. 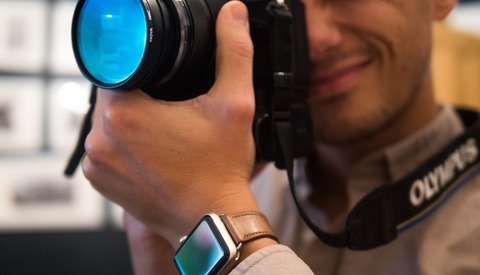 One feature worthy of a mention is the remote shutter control. In a nutshell, this allows one device with the app to remotely trigger the camera shutter on another phone. I haven't used this function yet but I can see how this could come in handy to creatively document your photoshoots. One feature I use constantly is the time-lapse option when creating BTS videos when shooting. The settings allow you to dial in the capture time and playback duration so you are left with a time-lapse perfect for your needs. I like to use them on Instagram so I set mine up to last 60 seconds which is the maximum time the social media platform currently allows. One thing I'd like to point out about the time-lapse function is that the phone needs to be constantly awake while shooting. This can easily be done by switching the auto-sleep function off in the phone's settings, after that, I turn the brightness on the screen all the way down to save battery power. Unless you have a photographic memory (excuse the pun) you'll probably forget how you created all your various lighting setups. Thankfully, Sylights allows you to create lighting diagrams so you can carefully note where everything was on the day. I find this app especially handy for my commercial clients who often ask me to recreate previous shoots we have done together. I can easily cross reference my phone to refresh my memory of what we did. If I'm lucky enough to have an assistant working with me I can send over the old diagrams ahead of time so we all know how things will look on the day. The diagrams also stop me from forgetting crucial pieces of kit as I can refer to the app while I pack up my gear the night before. 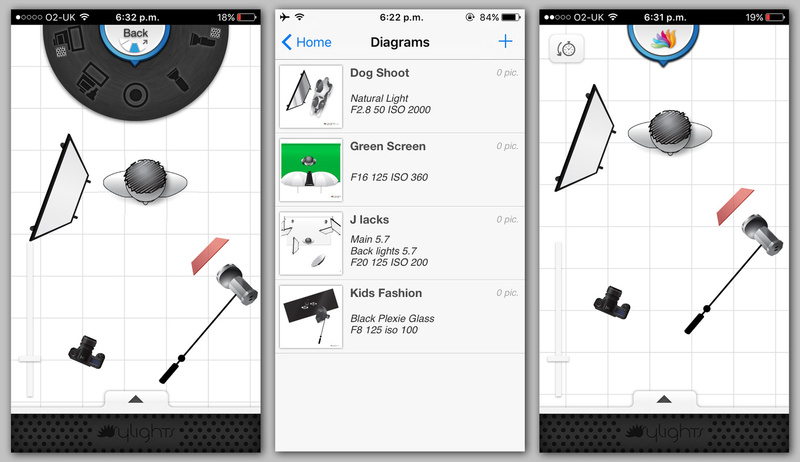 The app itself has all the icons you could possibly need to document your lighting setups and is very easy to use. It really does help to make life run a lot smoother during your photoshoots. Available on iOS and their website. I recently wrote about the science of hyperfocal distance and deep focus as being photographic concepts well worth understanding. For those who struggle with the mathematical equations involved, Hyperfocal DOF will do all the hard work for you. Just pick your camera model from the list, set your focal length and aperture used, and click on "Calculate Hyperfocal" and you will be given the closest distance at which the lens can be focused while keeping objects at infinity acceptably sharp. 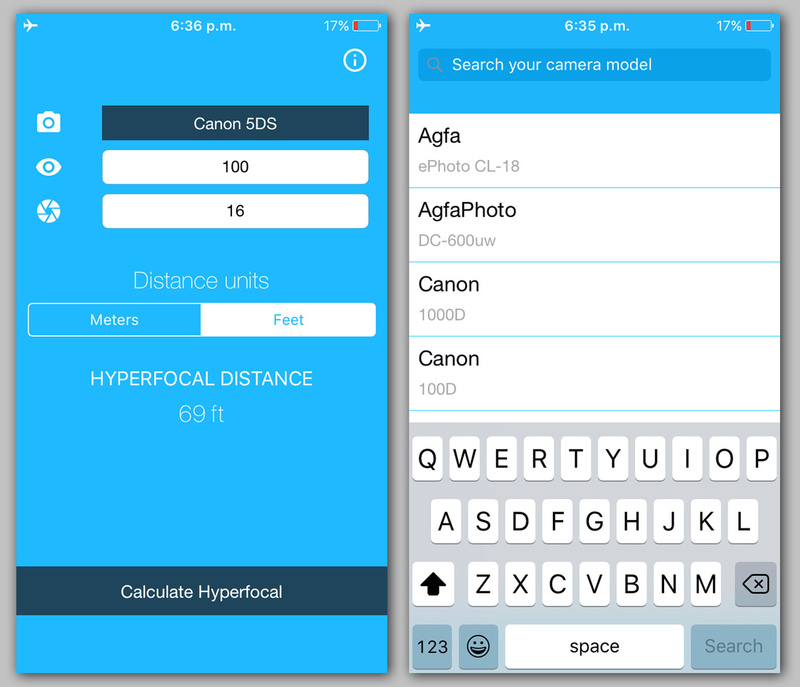 I like to use this app when I'm trying to work out what lens and camera combination would be best to shoot a particular setup. Knowing things like this in advance of a shoot really does save a lot of time on the day. This one is a must for iPhone users who create albums in their Camera Roll. Thankfully this app exists as Apple in their infinite wisdom decided to make it very hard for users to pull off individual photo albums they may have made. I personally use my phone to collect and organize images for inspiration, document location scouts, and build mood boards. As long as my phone and laptop are sharing the same Wi-Fi connection, I can finally go into my phone via a web browser and conveniently download all the contents of an album into a handy zip file. This really is valuable when I want to send something over to a client. If you shoot anywhere near the sea this app is a vital download not just so your shoots go to plan, but also to keep you safe. My Tide Times will tell you the heights and times of the tides for any location you need. 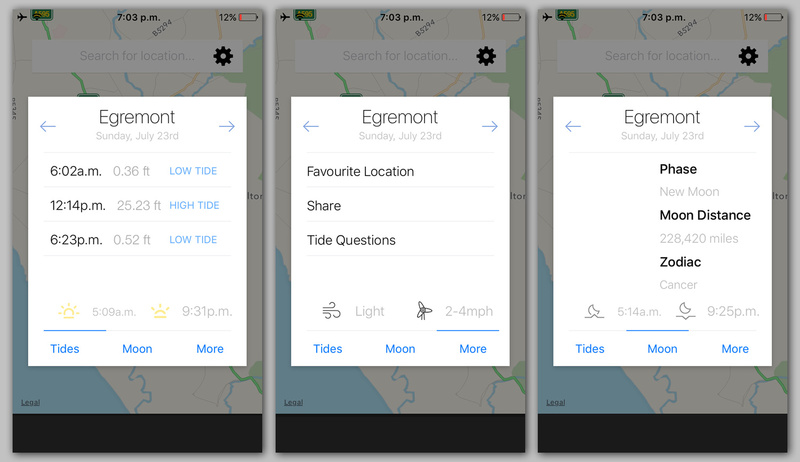 The app supports over 9,000 tidal stations in over 40 countries so your location will most probably be covered. I have used this to accurately tell me when the tide would be as far out as possible so we could maximize the time we had to shoot on the beach. Things like this don't need to be left to chance when you have an app like this. Golden hour is the time of day around sunrise and sunset when the light is great for photography. Although this app is only 15.3 MB in size it really does pack a punch. The app will tell you all you need to know about when and how long golden hour will be for your current location, a brief weather summary, and also the times of sunrise and sunset. If that wasn't enough there is a moon watch section which lets you know the next moonrise and when the next full moon will appear. I really like to use the notification function so I will be alerted before magic hour begins. This has saved me a few times when I was walking a little too slow to a location. This one is for the photographers who like to capture clear star formations in the sky but want to avoid long star trails. 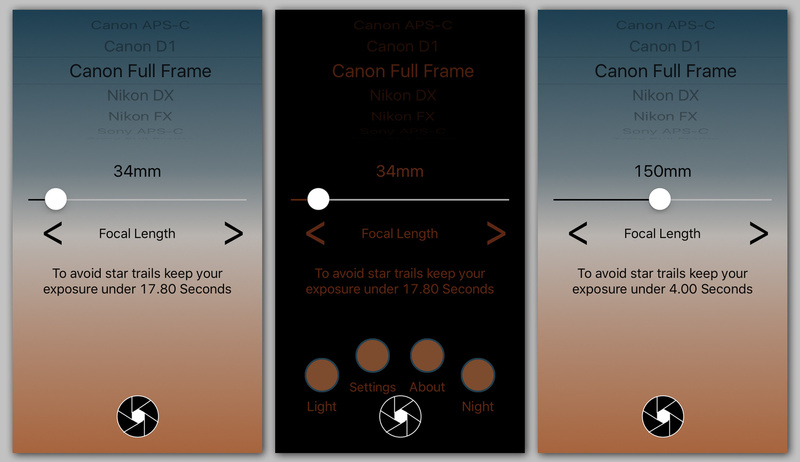 All you need to do is select your camera of choice in the app menu, input the focal length of your lens, and Dark Skies will use the 600 rule to calculate how long of an exposure you can get away with. 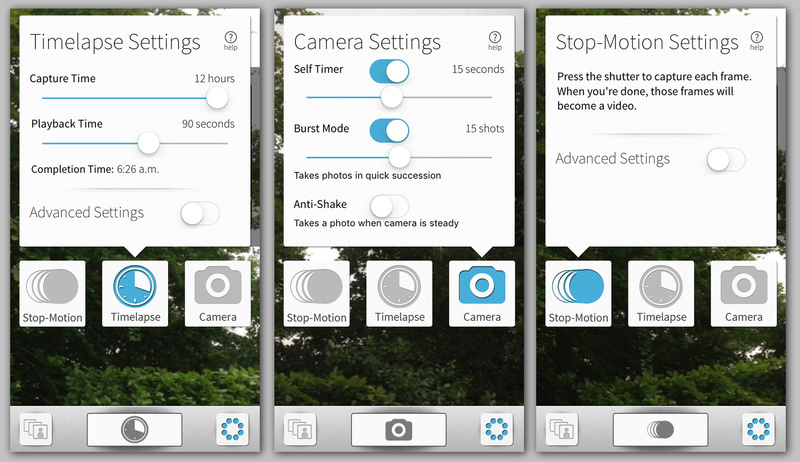 I love using this app because it avoids any trial and error while on a shoot. I tend to do the calculations before I leave the comfort of my warm car so I can minimize the length of time I'm out in the cold. A nice feature of this app is a "Night Mode" which subdues the screen's brightness and color so if you are using it while out in the field you don't loose your night vision so quickly. So there you have it, 11 apps which in some shape or form help me to take better pictures. All the apps mentioned work on the iPhone and where possible I have also linked to the Android versions too. The beauty of embracing these kinds of apps is that they'll never be far from hand when you need them. I hope you'll come to appreciate how your phone can become a vital tool in your photographic process. I secretly wrote this article so I'd receive lots of great app recommendations from the Fstoppers readers in the comments section, so please don't let me down! Leave a message after the beep. Thanks for the recommendations. Definitely going to look into some of them. You're very welcome Thomas, care to share any photo related recommendations you use yourself? Oh wow, that looks pretty awesome, just bookmarked! Great post. Checking out and downloading many of these now. I couldn't live without the Sun Seeker App. It makes my day when shooting on location and understanding exactly where the sun will be at what time. My pleasure John, sounds similar to Sun Route I mention above. Will definitely check it out! Than you my fellow Brit photographer! This made my day! I suddenly feel strangely patriotic. Thanks for stopping by! Thanks for the awesome article. Photo Pills has been a huge aid to me. Worth checking out. I've heard that app name a few times, but never looked into it. Will investigate now! Dude thanks! Some great finds. I was using SunCalc.net but Sun Route and Golden Hour are perfect for my needs. Oh cool, I'll check it out. Thanks Ken! Great article. I endorse the recommendation for Photo Pills. 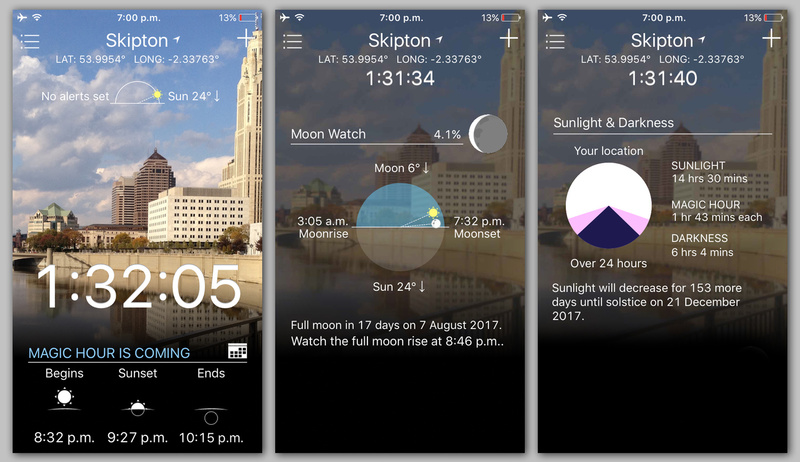 For more golden hour info, try DayLight which delineates day and night by astronomical, nautical and civil settings, all on an easy-to-read clock. I also stronly recommend The Photographer's Ephemeris. Paul... thanks for the great app info. When my son graduates from HS next summer we want to start our own photography business. We are currently working together to learn as much as we can and this article was has some great apps for our area. Thanks again, Jim. Thanks for the kind words Jeremie! Thank you! This is what I was really looking for. Thanks, the white balance reader in the Pocket light meter will be very handy. When I'm shooting with natural light, I often have to walk around the location looking for areas with consistent light temp. This will help tremendously. Ah, great point James! I just checked for you and the white balance has to be switched on in settings. As for its accuracy, I haven't tested it. I'll do a snap with my grey card next time I'm shooting to compare. I haven't tested it out either, but even if it is not 100% accurate, it will still help you "read" a room/location. Really looking forward to using this. I have a farmer friend, who when checking the weather would say "lets see what the Trolls say" and then check his phone. I always wondered what the hell he was on about, I asked one day and he said the Norwegian Yr app is the best for weather. If it's good enough for a farmer, it's good enough for me. Very true, I'm more than happy with the light readings the app gives so hopefully WB be in the same ballpark too. Just make sure to add the figure to your notes as the generated log doesn't seem to add it to the final image. Awesome thank you Tobias will check these out!